A three-year co-operating partnership between the town of Blackrock and Vincennes, Paris is hoped to be agreed upon and fully in place by May of this year. 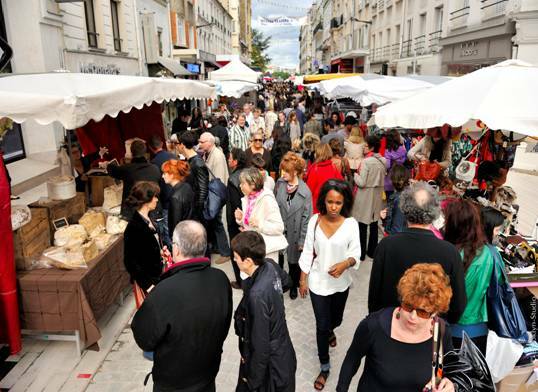 The co-operation, which aims to grow the relationship between the two towns via education, culture, tourism, sport and business, was initially established after Vincennes’ connection with Lambeth started to deteriorate after the Brexit vote. With the UK set to leave the EU after 29 March, the French commune were looking for another English speaking town with which to partner, says Tom Feeney, the Chairperson of the Blackrock Business Network. Initial contact was made through the Irish embassy in Paris and the Local Enterprise Office in Dun Laoghaire back in 2017. An Irishman living in Vincennes identified Blackrock as a potential suitor. After learning about the potential partnership, Tom worked hard with the rest of the BBN and local community to get the relationship up and running. “The demographics are very similar, they are both 15 minutes by train from the capital city, they are both interested in rugby, and many other similarities,” he says. Deirdre Kingston, a local councillor also thinks the agreement is a good idea. “There was a huge amount of opportunities identified between the two towns, so I am delighted that it has finally been given formal recognition by the Council,” she said. Vincennes is located just outside of Paris and has a similar population size to Blackrock while also boasting an interest in local businesses and sports. Once the partnership is up and running, delegations from the local council will travel once a year to Vincennes and vice-versa. Student exchanges will be organised between corresponding local schools and exhibition matches between local sporting clubs will be arranged, too. “There is huge potential for cultural events, exchanges between sports clubs and schools, tourism, promoting internships and professional networking,” says Kingston. The opportunity for local Blackrock businesses to sell their wares at Vincennes’ annual Christmas market may also be a possibility. The first event between the two towns will take place in this year when Blackrock’s Frascati Singers will travel to Vincennes to perform during the Europe Day celebrations on May 9.